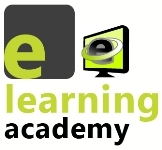 Welcome to the IT Governance E-Learning Academy. Here we bring together a range of e-learning courses, cover each and every aspect IT governance. Whether you are looking for an ITIL®, PRINCE2®, PCI DSS or even a CEH course, you will find the right programme for you here. With an uncertain economic outlook and a need for cost savings in most organisations, e-learning is increasingly seen as a cost-effective alternative to conventional classroom training. A cost-effective alternative to classroom-based training, eLearning is often over 50% cheaper than traditional classroom-based courses. No travel, accommodation or subsistence costs for staff to attend a course, saving you extra money. Study at a time, place and pace that suits you – no more having to take time out to attend a course..
We will also guide you through the process of booking your exam. With all of our courses being accredited or officially endorsed, you can be assured of their relevance and quality. Click here for a Diagram of ITIL Certification Scheme. All of our ITIL courses are fully aligned with the ITIL 2011 syllabus.